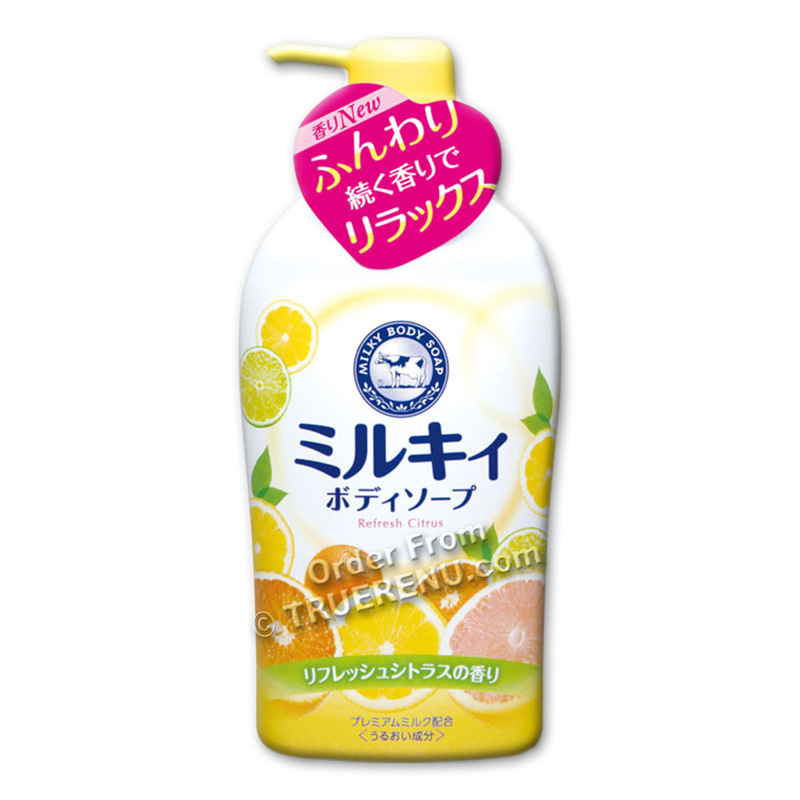 Grapefruit extract provides refreshing citrus scent, moisturizes, softens skin cells, smoothes and brightens skin. Contains Whey (Lactobacillus kefiri) and Milk powder (skim milk) to soften skin cells and condition to smooth, silky skin. The fine lather leaves your skin clean and moisturized. Contains collagen to hydrate and firm skin, fruit acid to brighten skin. Convenient pump bottle for single-handed use. A combination of Potssium Myristate for well-balanced lather, Potassium Palmitate for fine creamy lather, and Potassium Laurate for rich volumed lather creates the perfect rich creamy lather to cleanse your body. Incredible creamy rich lather with a bright citrus fragrance. Pump bottle allows for convenient, single-handed use in the shower or bath. The large 550ml size will last for many happy mornings. Ingredients: Water (aqua), potassium myristate, potassium palmitate, potassium laurate, potassium chloride, cocamide mea, glycol distearate, sphingomyelin, nonfat dry milk, hydrolyzed casein, soluble collagen, fragrance, glycerin, milk lipids, lactose, peg-75, peg-9m, edta-2na, methylparaben, propylparaben.